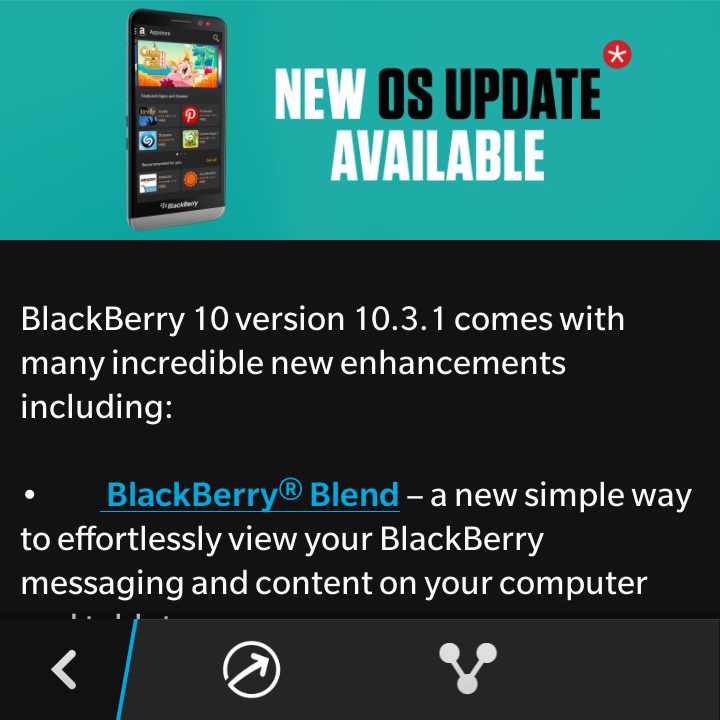 How to Upgrade Upgrade to OS 10.3.1 on Blackberry 10 Device Without PC. Why Should I Upgrade my OS to 10.3.1? effortlessly view your BB messaging and content on your computer or tablets. an incredible personal assistant intuitively controlled by voice or text. efficiency by up to 15%. you’ll see will be your OS 10.3.1 upgrade message as seen in the image below. PC with Blackberry Link installed. or use Wi-Fi directly on your mobile. depending on the speed of your internet network. Sure you can unbrick your fone is you brick it. Just make sure you make a nandroid back up of your current rom before you run f5 supernova rom. See this guide here on how to do that. Yes I have a backup of the my old OS. I have tried 5 different usb cables but none of them seem to work. Am I totally screwed or is there another solution? Does this new version OS support MTN bis unlimited?